Who’d a thunk it? (Yes, that’s what I said.) We are rapidly approaching two decades into the 21st century. My, how time flies! When people ask what I’ve been doing, it’s hard to respond: “Just taking it one day at a time.” or “Putting one foot in front of the other.” It’s hard to find words. “Things I Learned” is written to share my major “ah ha’s” this year with regard to what I learned about God, about myself, and my faith. No judging or regretting. No New Year’s resolutions or personal improvement plans, only silent contemplation about how God has revealed Himself to me from eternity to time we called 2017. What are the things I learned in 2017? God is faithful and will do everything He can to aid in my success (Jer. 29:11-13). It is, however, my responsibility to insure I am aligned to receive His grace and power. I must exercise caution and be aware of those things in my “human nature” that can impede my “spiritual progress”—fear, doubt, pride and envy. In my daily walk, I must recognize and “set aside the weight and the sin that so easily seeks to ensnare me” (Heb. 12:1): the busyness of the day, the distractions of the urgent versus the important, or the spirit of unforgiveness I may harbor. Lastly, to be successful in accomplishing God’s purpose, it is critical to understand the will of God. While God’s will can be found throughout Scripture, the time I spend in prayer and meditation are key in understanding both His way and His will (Ps. 103:7). God is in control regardless of what I see happening around me (Ps. 46:1-3). Nothing catches God by surprise whether it is political wrangling, social disparity, or an ecological disaster. Scripture teaches us three truths to sustain us in times of uncertainty and confusion: God is completely sovereign, God is infinite in wisdom, and God is perfect in love. Jerry Bridges writes in his book, Is God Really in Control: “In His love, God wills what is best for us, in His wisdom He always knows what’s best for us, and in His sovereignty He has the power to bring it about.” God has a plan for mankind which was created before the foundation of the world (Ep. 1:4, 10) and each day we are moving to the culmination of that plan. There is no one or nothing that can thwart God’s plan. God’s Word is critical for victorious living and spiritual transformation (Ps. 19:7-8). Why? Because the Scriptures expresses the very mind of God. It is God speaking directly to us. How? The “word of God is full of living power. It is sharper than the sharpest knife, cutting deep into our innermost thoughts and desires. God’s Word exposes us for what we really are” (Heb. 4:12, NLT). God’s Word also renews our mind so that we begin to think like Christ (Phil. 2:5) leading us to be conformed to His image–the image God had originally designed for us in the Garden of Eden. Through this process of “exposing and renewing”, or sanctification, we become true children of God (Phil. 2:15). Investing time in God’s Word—devotional reading and systematic study—yield returns that are priceless, in this world and in the world to come (Ps. 19:10-11). In 2017, I rediscovered the special blessing that can be found in Scripture memorization or as I prefer calling it, “writing God’s Word on my heart.” Oh, the things God has revealed to me about His goodness and His greatness as I’ve “planted” large passages of scripture in my spirit such as Psalms 19 and Ephesians 1. As I memorized each line, I prayed that it would “take root and bear much fruit (Matt. 13:23). This spiritual discipline is not about speed or quantity (how many verses I can learn) but in experiencing the “depth of the riches of His grace” God reveals to me. 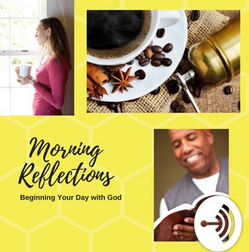 SELAH: What are three (3) things you learned in 2017—about God, yourself, or your faith walk?